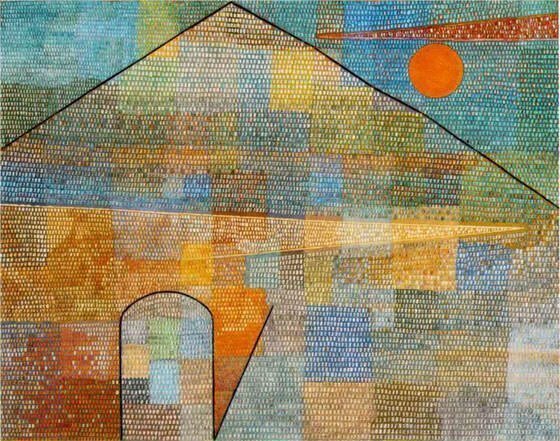 Paul Klee (1879–1940) was a Swiss-German painter who is considered one of the greatest modern artists and is known for his highly individualistic style. His work is associated with many art movements including expressionism, cubism, and surrealism. Here are 10 famous paintings by this revolutionary artist. 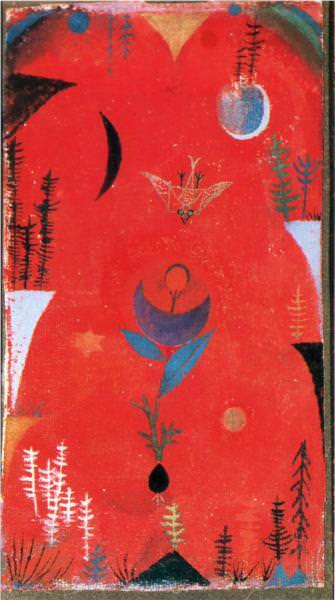 One of the most well-known paintings from the early part of Klee’s career, Flower Myth is a beautiful three-dimensional work which is a great example of creating a painting in mixed media. 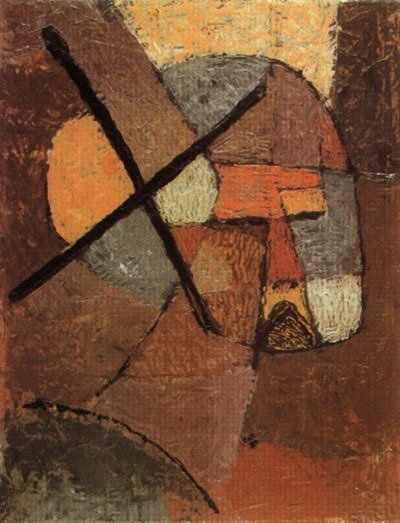 Death and Fire was painted in the year of Klee’s death. In this painting, he paints his own grimacing death mask without compassion with a skull in the center and the German word for death, ‘Tod’, appearing in the face. The largest painting created by Klee, Insula Dulcamara has symbols and signs which create a dream like affect. It means ‘Bittersweet Island’ and was created in his last years. 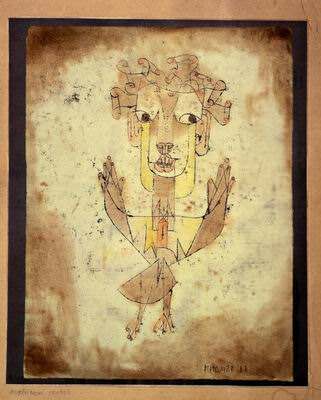 After Klee’s house was searched by the Gestapo and he was fired from his job at the Dusseldorf Academy for being a Jew, he created this famous self-portrait. 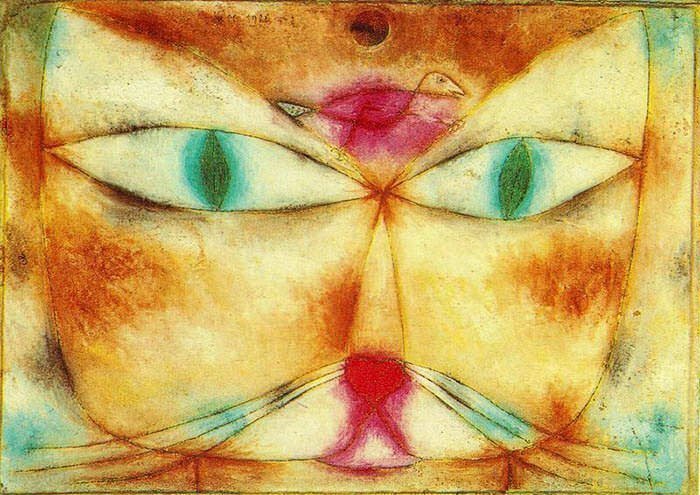 An example of Klee creating an image which deals more with thought than with perception, Cat and Bird is among his most well-known works. The central character in this famous painting is interpreted as the ‘Angel of History’. The name and the concept of the angel have inspired many artists and musicians over the years. 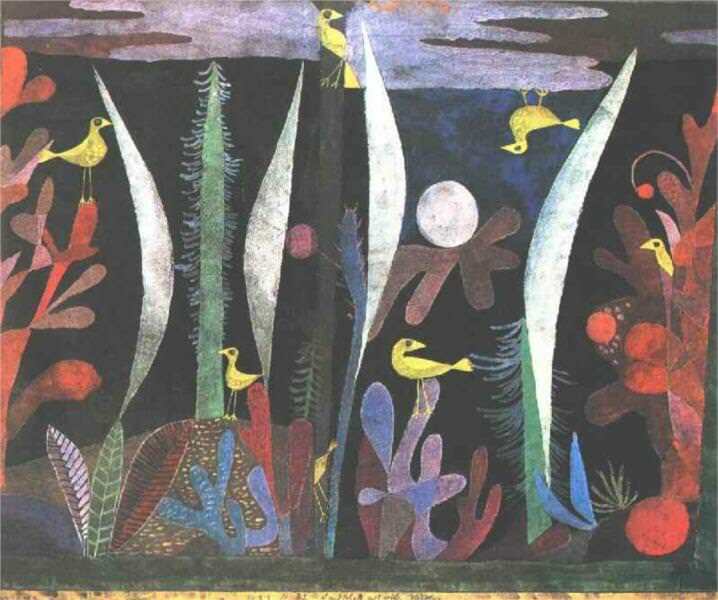 One of his most important works during the Bauhaus period, Landscape with Yellow Birds is noted for its bright colors and its underlying themes. 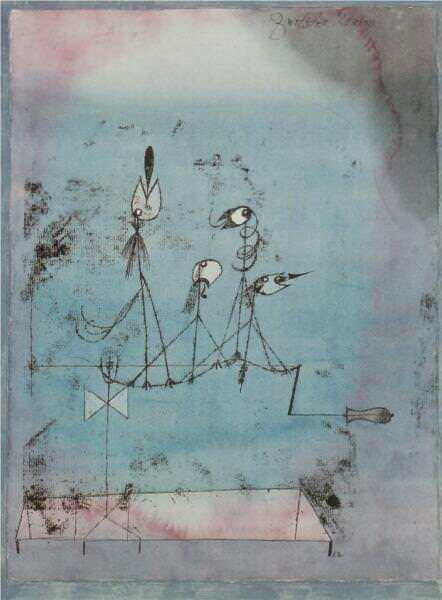 In 1995 experimental filmmaker, Kostas Sfikas created a film on Klee’s works and it was titled “Paul Klee’s Prophetic Bird of Sorrows” after this painting. In this extraordinary painting, Klee creates a magical realm where all forms of life intermingle, the aquatic, the celestial, and the earthly. Fish Magic is often cited by his supporters as the best example of his works in which his two divergent gifts, his intellect and his imagination, come together. Dubbed as ‘degenerate art’ by Adolf Hitler in 1933, this piece of art can now often be seen in children’s bedroom. There are various interpretations of Twittering Machine with art critics perceiving it as a nightmarish lure for the viewer to a depiction of the helplessness of the artist to a triumph of nature over mechanical pursuits. 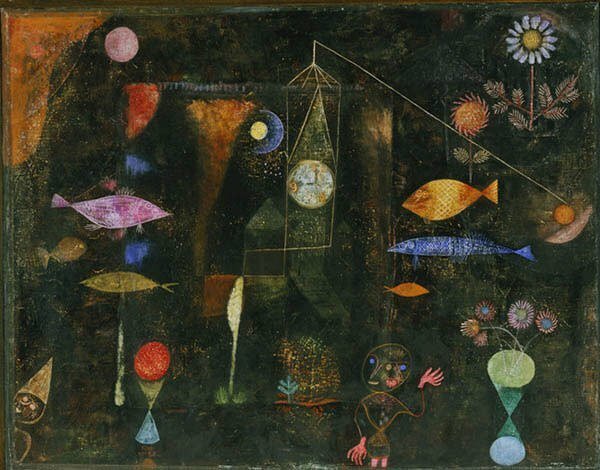 Among the most famous of Klee’s works, the painting is “one of the best-known treasures at the Museum of Modern Art” in New York. In Greek mythology, Mount Parnassus was the abode of goddesses who inspired artists and Klee’s Ad Parnassum has been an inspiration for many modern artists. Considered his masterpiece, the painting highlights the skills with color of the master of color. It is the best example of his command over the pointillist style and it also showcases his technical ability. 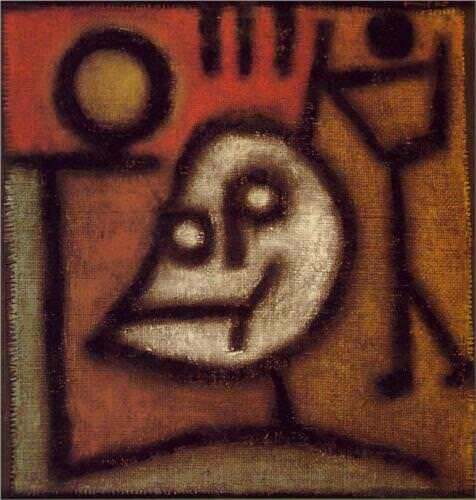 Love your top ten lists and especially this one about Paul Klee. Appreciate your free form take on education in the modern world. Check out my website on childhood, nature, culture, learning and teaching if you are interested! Website Name: Childhood, Culture and Learning.